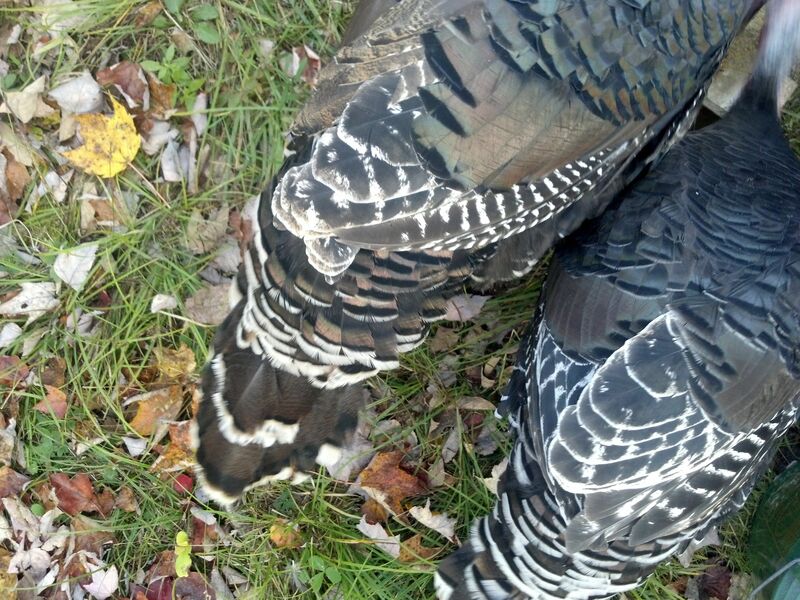 Thank you for purchasing a turkey from Apple Creek Farm. Below are a few tips to ensure your turkey is cooked to perfection. Bring the turkey to room temperature before roasting, this will ensure it cooks evenly. Pastured birds cook faster, check frequently. Use a meat thermometer- meat is done at 145 degrees. If the legs and thighs are not done, remove and finish in the oven while you make your gravy. There are many opinions about whether high heat or low heat should be used, the following table can be used as a guide for cook time. Start with oven at 325 degrees, after 1 hour lower heat to 300 degrees. 10-13 lb. – 1 ½ to 2 ¼ hr. 14-23 lb. – 2 to 3 hr. 24-27 lb. – 3 to 3 ¾ hr. 28-30 lb. – 3 ½ to 4 ½ hr. Be sure to keep the turkey basted either in the traditional method with a baster or, by inserting plenty of butter (with herbs and garlic) under the skin. To Brine or Not to Brine? Here are some links to folks who brine and explain why.